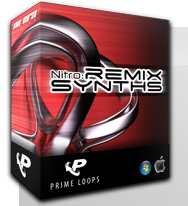 Nitro: Remix Synths, Synthesizer Sample from Prime Loops. 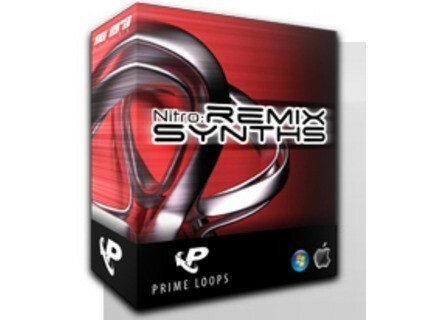 Nitro: Remix Synths contains about 2,700 Files, and 500+ Professional Remix Synth patches, described as "a mammoth release". Prime Loops say they used a vast amount of hardware analogue synthesizers in the creation of this sample pack, including the Access Virus, Korg MS2000, Roland Juno 106, Roland Alpha Juno, Microkorg, Korg 03W, Reese, Korg Prophecy, Korg Mono/Poly, Roland MC303, Roland JP8000 and many more. All of the Sounds have been tried, tested and manipulated for maximum impact in 24-bit audio, the company says. Styles include Electro, Drum n Bass, House, Techno, Dubstep, Breaks, Main Room, Big Beat and other modern electronic music styles. Formats: Kontakt, Halion, NN-XT, EXS24, SFZ for Cakewalk & more! 2CAudio Aethe Update 2CAudio has updated is algorithmic reverb plug-in Aether to v1.0.1. Sanford LFO Sanford Sound Design has released Sanford LFO, a MIDI based VSTi plug-in representing a Low Frequency Oscillator. Vir2 Mojo Vir2 Instruments has announced the release of MOJO: Horn Section.